To print our 2019 WINDOW WANDERLAND map scroll down to the bottom of this page and click the button that says “download map”. This will produce a 2 page pdf file with a printable map and a handy alphabetical list of street names with addresses. Many of you will be taking photographs this weekend. You can post pictures of your favourites on a world wide Wanderland map at this link. Please note the address of the display in order to place it properly. Have fun out there, but safety first! Be mindful of traffic, wear something bright. Too late? 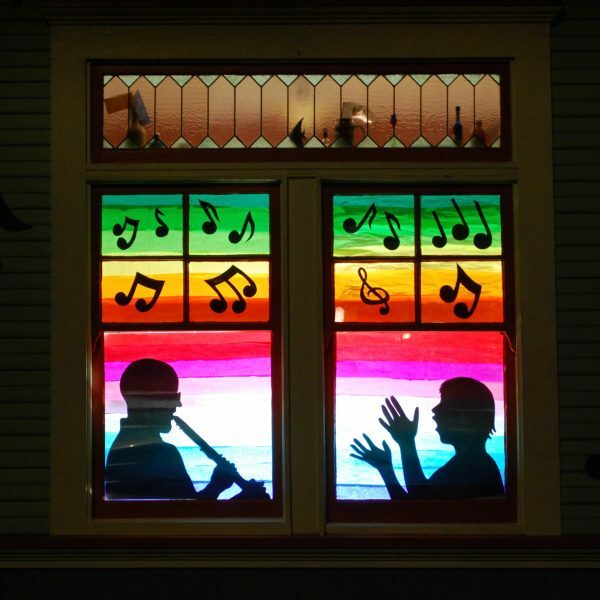 Our 2nd James Bay WindowWanderland is Feb22-24 6:00 to 9:30pm. Is it too late to register? Emphatically NOT! This year the map of window displays is downloadable and printable at home. This means you can register at the last minute and still appear on the online map. No need for FoMo. Printed maps will be available during the event at the James Bay Community Centre at 140 Oswego and at New Horizons 234 Menzies. (Hot drinks too, by donation). The deadline to be included on these printed maps is Weds. Feb.20th. (that battery powered set you got at Christmas is perfect) or reflective gear so you’ll be easily seen by motorists and become part or the Wanderland scene at the same time. Have fun out there, but remember safety first. We are delighted to bring to our Community the second installment of Window Wanderland. This community celebration is brought to you by the James Bay Community Centre and James Bay New Horizons, funding for the event was made possible by a celebration grant from the City of Victoria. Dawn Olson is offering two different workshop projects for 2019. Everyone is welcome, though children will need to have their adult helpers with them. The cost is $4.00 per person. 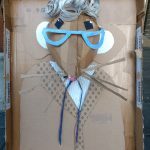 No art experience needed; all materials provided. Create a giant monster, animal, human or other object to suspend in your window. Bring your imagination and the measurements of the windows you want to decorate. Choose morning or afternoon time. Create an eye-catching window display from colourful translucent paper –a pleasing pattern, a giant animal or giant human or….whatever you like! Bring your imagination and the dimensions of the windows you want to decorate. Choose morning or afternoon time. Invite a neighbour to do the same. Invite friends and have a party! Set up a warm drink and cookie station in front of your home. Pick up flyers at the JBCSC 140 Oswego and take them around your block or drop them off at a local business. Remember to keep it all family freindly and pedestrian powered.